Heavy rain...wooden shutter...rickety lean-to made of sheets of corrugated iron roofing and plastic held together by hope. Abani's fictional Maroko is much like that of the real wharf communities which Sierra Leone's Muctaru Wurie immortalizes in his A Day in the Eastern Slums of Freetown. In our offices, however, I think all of us were much less at ease. [E]ach of us had found a bureaucratic web of such intricacy in his portfolio that even to unravel it entailed a long and taxing mental exercise. We spent hours on end during the day being shown round the various departments under our authority, looking very wise and feling very ignorant. Then we spent almost as many hours at night thumbing our way unenthusiastically through files which we had been assured would give us a clear picture of the problems, plans and pojects for which the whole country now held us responsible. I'm musing. I just read Barbara Genco's Ten Nonfiction Books (For Adults) to Fall In Love With posted on January 1st. Symbolic date because it just so happens the first day of the year is Camara Laye's birthday. Being the mush that I am, I planned to re-read The Radiance of the King and post a 1/1/11 'why-you-should-read-this' review. But I got caught up with end-of-year stuff. Just the kind one gets busy with at the top of a new year. 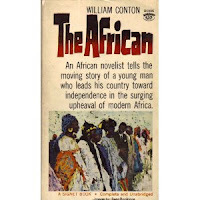 Still, I found time to re-meet Mr. Camara and, after our re-acquaintance, I scheduled a Vitabu review for another symbolic date: February 4: On this day in 1980, Guinean-born Camara Laye died in poverty and exile in Dakar, Senegal. 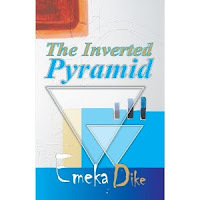 Emeka Dike's novel, The Inverted Pyramid (Trafford Publishing) is a must for readers of spy thrillers. Espionage, treachery, and intrigue play pivotal roles in this accurate portrayal of the struggle for power in Nigeria's political arena. 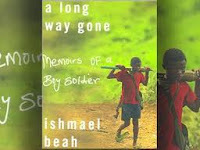 The author also lays bare how a black African nation's destiny is determined by the actions of a few.